Two new, seamlessly integrated features in the latest release of Siemens’ STAR-CCM+ software for multiphysics computational fluid dynamics (CFD) simulation and analysis enable automated product design exploration and optimization. One is Design Manager, a capability in STAR-CCM+ version 12.04 that lets users easily explore multiple design options within their CFD simulations. The other is STAR-Innovate, built on the proven technology of HEEDS, the multidisciplinary design exploration (MDX) software that Siemens came to own through its 2016 acquisition of CD-adapco, which had previously acquired HEEDS and its developer, Red Cedar Technology. 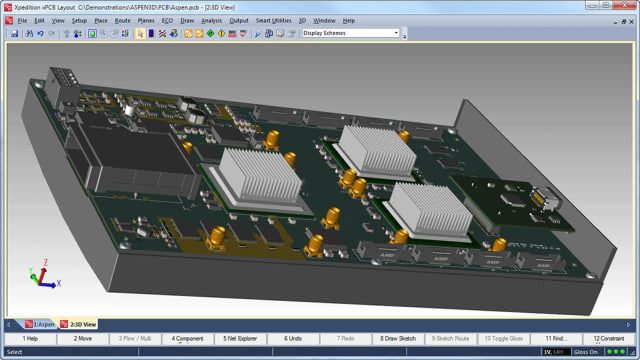 STAR-CCM+, now developed and managed by Siemens PLM Software, is part of the company’s Simcenter portfolio, a robust suite of simulation and test solutions. See our Predictive engineering analytics: Simcenter unifies, advances Siemens PLM’s simulation/test portfolio. Our firsthand research among users in global automotive, aerospace, gas turbine and other manufacturing industries confirms HEEDS is a breakthrough technology that at last makes multidisciplinary design exploration easily and readily usable by engineering discipline leads, without their having to become experts in the arcana of design space exploration (DSE) tools and methods—design of experiments, response surface models, scatter plots, Pareto frontiers, stochastic optimization, on and on. Or, as is more often the case, hire an engineering service provider with specialized expertise in DSE in order to gain access to the technology’s benefits.